Jai Simha Movie First Look Poster: The first look of Jai Simha, Nandamuri Balakrishna’s 102nd film is out, and it caters to Nandamuri’s fan base.Jai Simha movie is directed by KS Ravikumar and produced by C Kalyan. 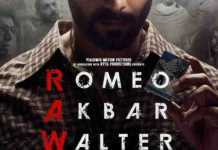 The first look poster and motion poster of the film was released on Twitter by CK Entertainments, which is producing the film. Balakrishna looks ready to set the screen on fire with his signature dialogues. The movie is said to star Actress Nayanthara, Hari Priya, and Natasha as female leads.Chirantan Bhatt is composing music for this movie who previously worked for Gautamiputra Satakarni. Shyam K Naidu is handling the camera for “Jai Simha”. BARaju‏ tweeted,” #NBK102 #JaiSimha Title logo, 1st look & motion poster to be out on Nov 1st. Releasing on Jan 12th #KSRavikumar Film #CKalyan Production”. 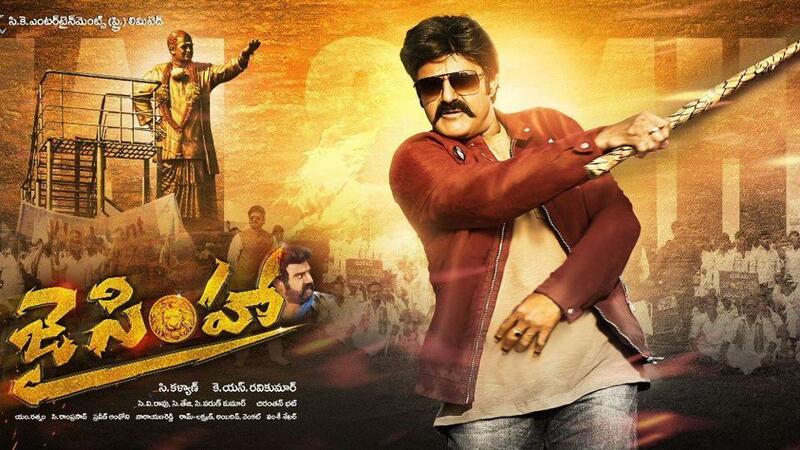 From the poster, it looks like the film will have Balayya playing a larger-than-life character. The backdrop has people holding placards and posters. It looks like they are protesting something specific, and Balayya will play the role of the savior.The producers had also announced that the film will release in January next year, on Sankranti.